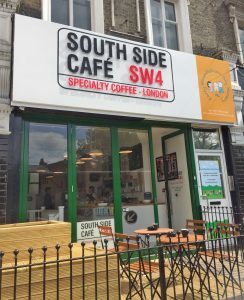 Before and after pics from our recent signage installation project in Clapham Common. 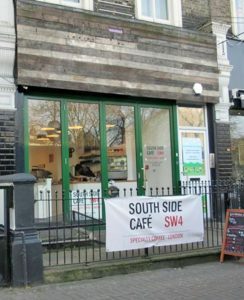 The South Side Café’s original signage was simply a banner tied to the railings outside (see the before image below), now they have bright and attractive signage utilising the space above the window. We’re sure you will agree it is a major improvement. Get in touch with us if your shopfront needs refreshing too!